1. 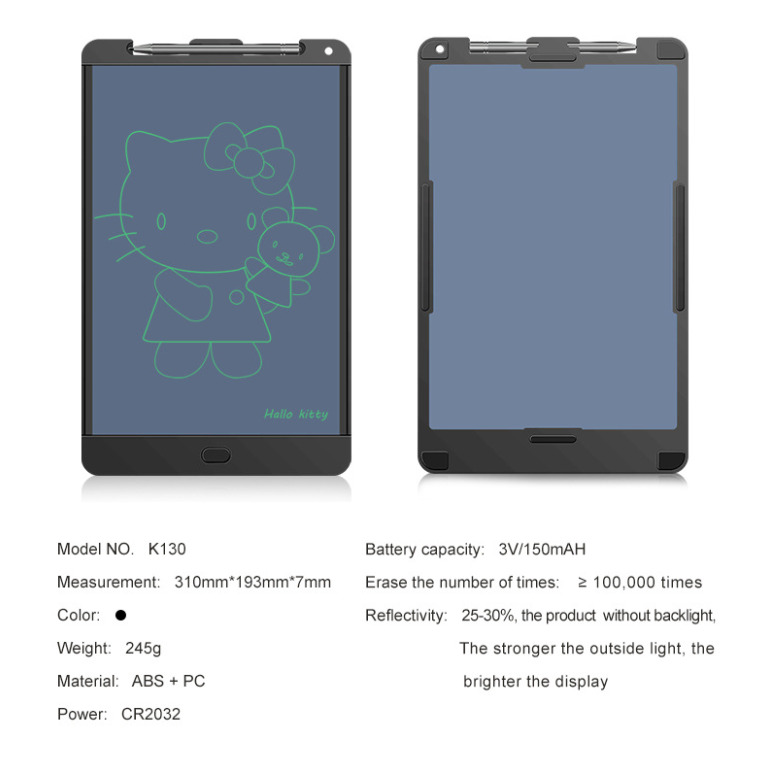 This LCD Writing Board has no harm to the eyes, no radiation, the eyes will not be tired for a long time. 2. Practise calligraphy, painting, writting. 3. Arithmetic, prepare a draft. 4. 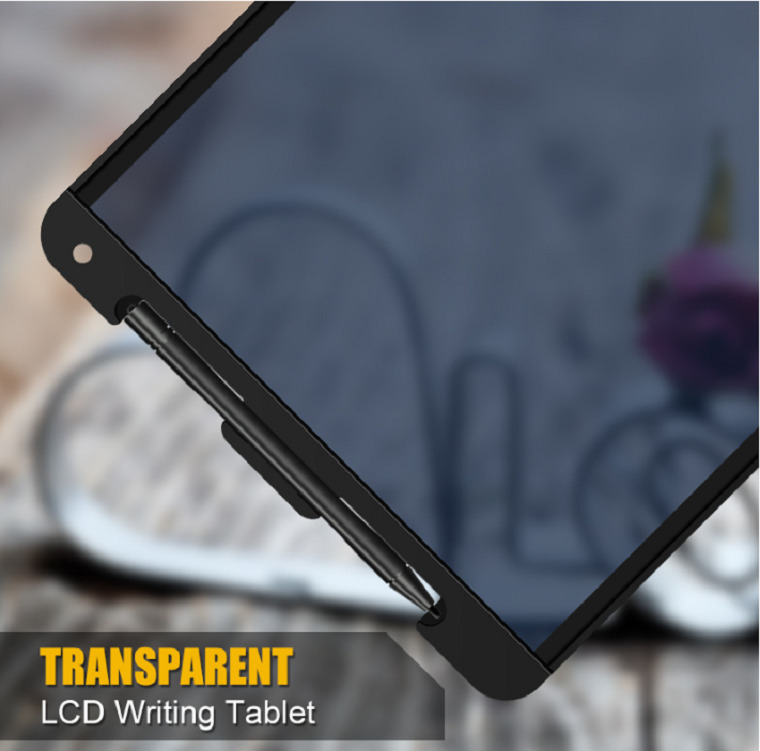 This LCD Writing Tablet can use for family memo message. 5. Pure pressure induction, writing sensitive. All hard things can be written, no pen and ink paper needed, can be written in hand. 7. Ultra thin volume design, easy to carry. 8. Handwriting shows no electricity, safety and no radiation. 9. The interval between the Sketchpad is colorful.